Aging, genetics, and environmental factors like sun exposure can cause parentheses lines to become more visible. 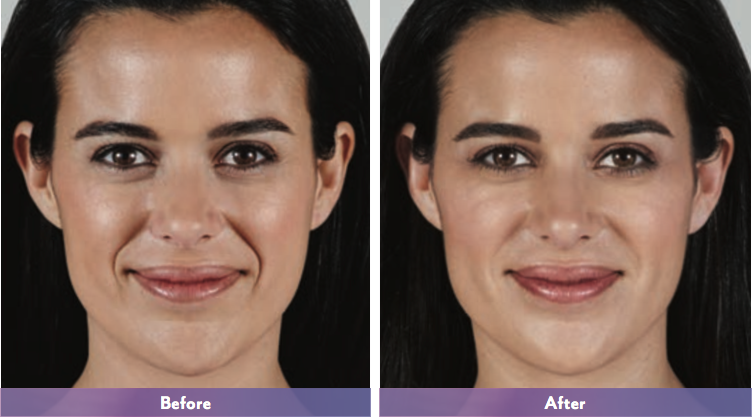 JUVÉDERM VOLLURE TM XC subtly smooths these lines to deliver results that last. Actual patient. Results may vary. Unretouched photos taken before treatment and 1 month after treatment. A total of 2.3 mL of JUVÉDERM VOLLURE TM XC was injected into the parentheses, corner, and marionette lines. Actual patient. Results may vary. Unretouched photos taken before treatment and 1 month after treatment. 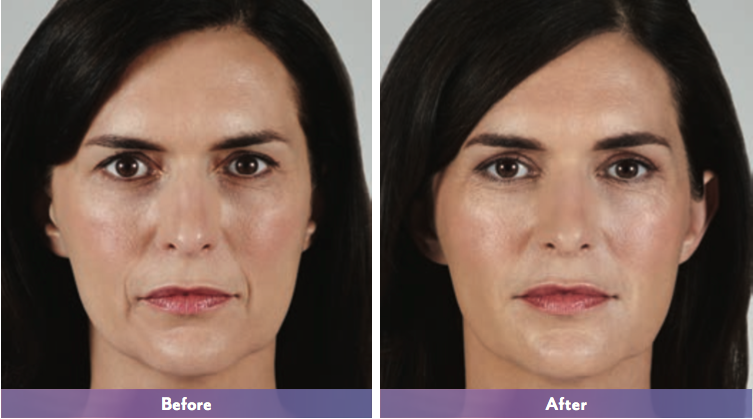 A total of 3.75 mL of JUVÉDERM VOLLURE TM XC was injected into the parentheses, corner, and marionette lines. JUVÉDERM VOLLURE TM XC injectable gel is indicated for injection into the mid-to-deep dermis for correction of moderate to severe facial wrinkles and folds (such as nasolabial folds) in adults over the age of 21. The most commonly reported side effects for JUVÉDERM VOLLURE TM XC injectable gel were injection-site redness, swelling, pain, tenderness, rmness, lumps/ bumps, bruising, discoloration, and itching. Side effects were mostly mild or moderate in severity, with duration of 14 days or less. To report an adverse reaction with JUVÉDERM VOLLURETM XC, please call Allergan at 1-800-433-8871. Please visit JuvedermDFU.com for more information. JUVÉDERM VOLLURE TM XC injectable gel is available by prescription only. JUVÉDERM VOLLURE TM XC injectable gel is for injection into the facial tissue for the correction of moderate to severe facial wrinkles and folds, such as nasolabial folds, in adults over 21. Are there any reasons why I should not receive JUVÉDERM VOLLURE TM XC injectable gel? What are possible side effects? The most commonly reported side effects with JUVÉDERM VOLLURE TM XC injectable gel included injection- site redness, swelling, pain, tenderness, rmness, lumps/bumps, bruising, discoloration, and itching. Most side effects were mild or moderate and lasted 14 days or less. One of the risks with using this product is unintentional injection into a blood vessel, and, while rare, the complications can be serious and may be permanent. These complications, which have been reported for facial injections, can include vision abnormalities, blindness, stroke, temporary scabs, or permanent scarring. As with all skin injection procedures, there is a risk of infection. 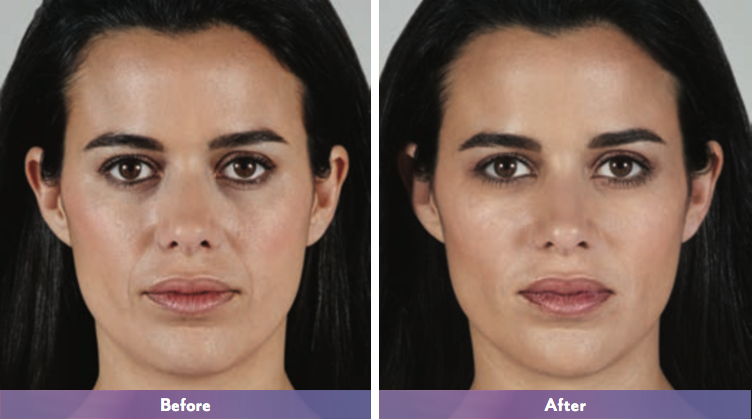 To report a side effect with JUVÉDERM VOLLURE TM XC please call Allergan at 1-800-433-8871. Please visit Juvederm.com or talk to your doctor for more information.